Becoming a sales champ in 360 days: With his online academy, Martin Limbeck has reached a milestone in sales education. This sales academy was developed specifically for customers who attach great importance to individual online learning, be it with or without face-to-face sessions. This is effective, integrated learning for sales success: Webinars, exercises, videos, podcasts, and periodic assessments help you commit what you’ve learned to memory and summon it when required over the long term. Do you wish to increase your sales, gain more prospects, and above all, close deals more often? It’s easier than you think, because talent is not a chance occurrence but something you can learn: In order to reach your goals and sustain your success, you need motivation, practice, and in particular the right techniques. 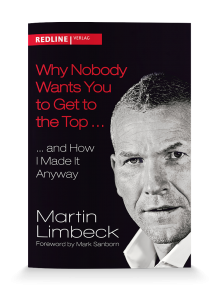 Set yourself new challenges with the Martin Limbeck Online Academy. We will train you and your team for an entire year and ensure that the strategies for success become second nature. This program is conceived for corporations and small and medium-sized enterprises operating in B2B and B2C. It is equally recommended for private individuals or self-employed persons who would like to develop themselves further in the field of sales. With your enrollment into the 49-module program, you will have 15 months’ worth of access, so that you can proceed at your own pace. Learn whenever, however, and wherever you please. Benefit from integrated learning with podcasts, videos, and workbooks to which you will have convenient access from all electronic devices. Following your completion of the 49 modules of the Martin Limbeck Online Academy, you will have the option of receiving a “Certified Professional Sales” (CPS) certificate from the Federal Association of Certified Trainers and Business Coaches (BZTB). Would you like to provide your customers or employees with your own online platform, or could you benefit from a white-label platform with or without the contents of the Martin Limbeck Training Group, your logo, and your own topics and webinars for your Intranet? That’s also an option. In order to ensure your highest possible sales success, we tailor the teaching content to your individual needs. Before beginning the Online Academy, would you like to motivate your team with a kick-off event or an additional face-to-face session? We are at your disposal for your own training camp.